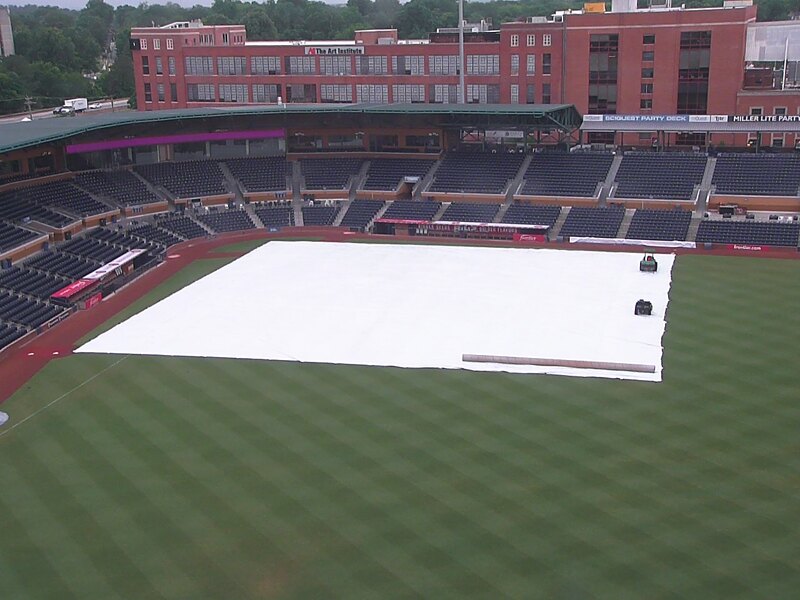 If the weather god(s) are kind (doesn't look good at the moment), the Bulls will go up against the Charlotte Knights tonight. The Knights are a game ahead of the Bulls in the International League South Division. The Chicago White Sox affiliate is having a very good year and is arriving at the DBAP after a 5-2 home stand in Charlotte. The Knights and the Bulls (and the Norfolk Tides) have been trading places all year. We have every reason to expect it to continue. As the table shows, they carry a stellar batting average. However, that small run differential implies a vulnerability in the pitching department, and possibly in defense. Unfortunately, the Bulls don’t have much to brag as defenders. They lead the league in errors (48) to Charlotte’s 12th place (32). Dealing with rain. A while back we wrote up this little item about how we deal with a rainy day. The link is also up there on the links list. Essentially, check out the camera before you drive, might save yourself some pain. Two Bulls have been called up to the Rays, pitcher Andrew Bellatti and outfielder Mikie Mahtook. Bellatti pitched last night, in relief, against the LAA Angels. See stories here, here and here. The Rays also Designated for Assignment veteran reliever Ernesto Frieri. Comments by Rays Manager Kevin Cash implied that he didn’t really expect Frieri to make it through waivers. That leaves the Bulls with two holes in their roster that we can expect to be filled before the end of the day.